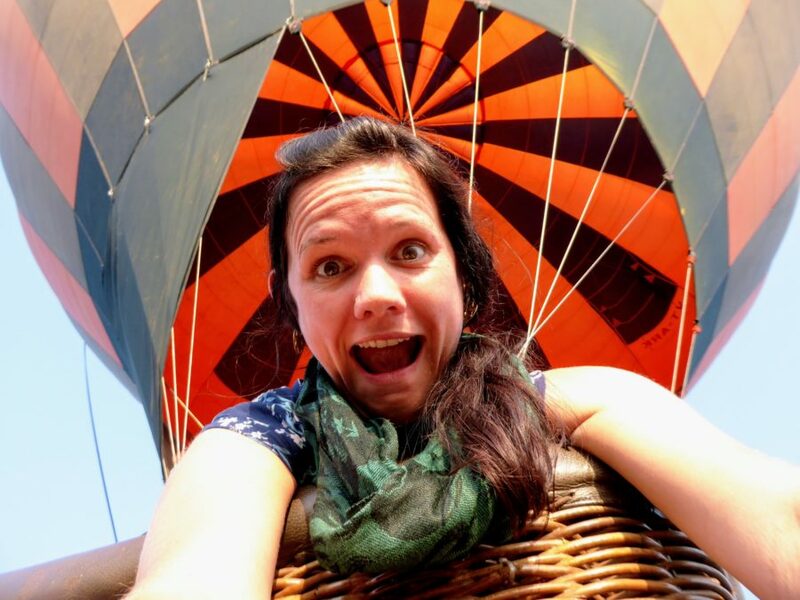 This is my first experience of a hot air balloon flight. Having experienced a few other ways to see the world from up in the sky such as in a tiny plane, skydiving and bungee jumping, I have to admit it is the most comfortable way to travel. 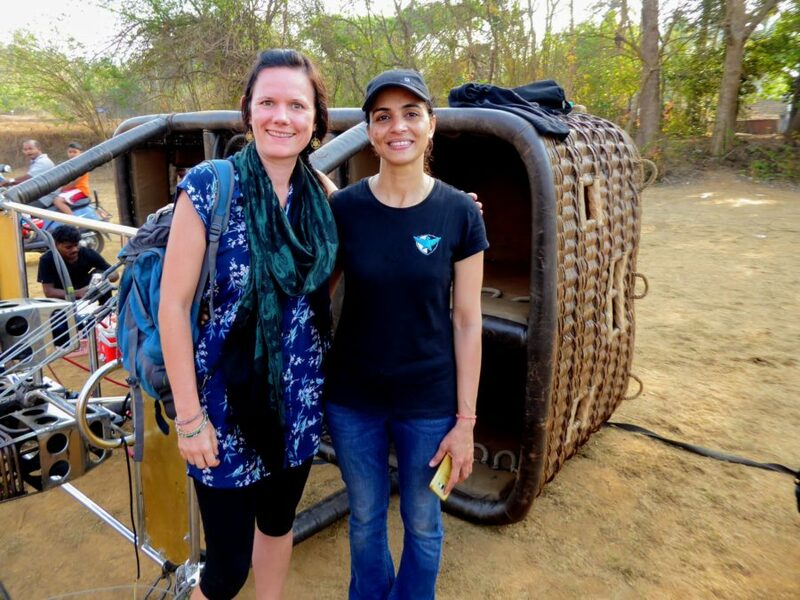 Tiger Balloon Safaris offer safe, affordable experiences for Ballooning in Goa, as well as throughout India complying with DGCA approved standards and provides insurance for their passengers. The day started at the take off spot in North Goa. I watched as the balloon was inflated, a fire show of blues, reds and oranges in the dawn light. The balloon quickly filled with the help of big fans and we scrambled into our allocated compartments, eight of us in total plus the pilot. Next thing I know we are in the air ballooning in Goa. So where am I heading? 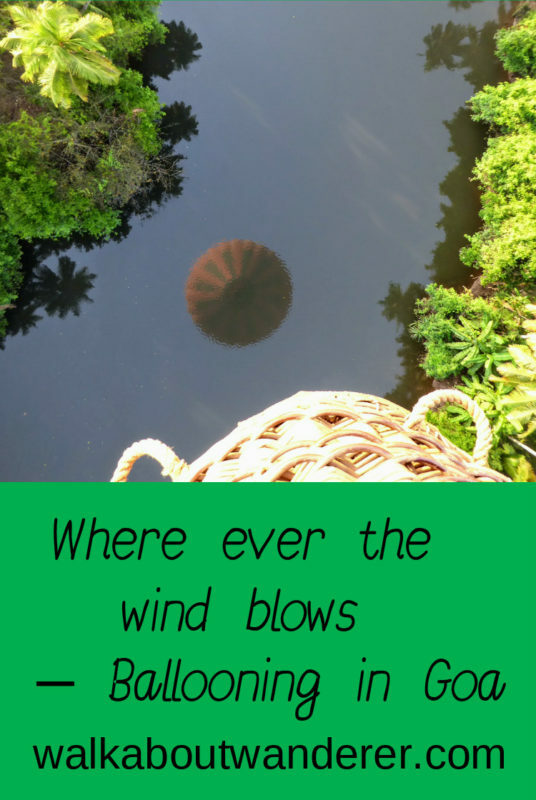 Well only the wind knows as a hot air balloon flies only where it is blown. The pilot only has control of the altitude making it quite an adventure as the ground team chases the balloon with which they remain in contact by radio. The hot air balloon flight is so smooth, in fact I would have doubted we were even moving until I looked down and could see the ground below passing us by. As we flew over villages, villagers shouted and waved at us making for a wonderful bird’s eye view of life as a local. 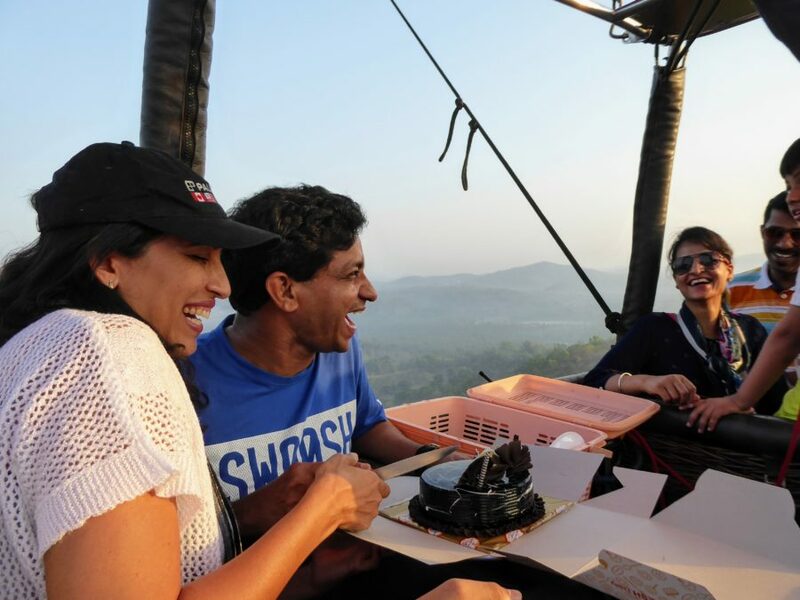 As an additional bonus for ballooning in Goa, a couple were celebrating their anniversary so we had a delicious chocolate cake at 2000ft. With a little bit of notice Tiger Balloon Safaris can arrange the perfect celebration. So what goes up, must come down! After choosing the perfect place to land the hot air balloon, we skimmed the trees to slow us down. This added an extra sense of excitement to the ride. The pilot and the team guided the balloon to a gentle stop. It was great to see everyone work as a team. I have to say they did a great job to give us a gentle landing. And afterwards we had chai, coffee, water and biscuits whilst chatting further with the pilot, an experienced balloonist. It was a wonderful start to a day. 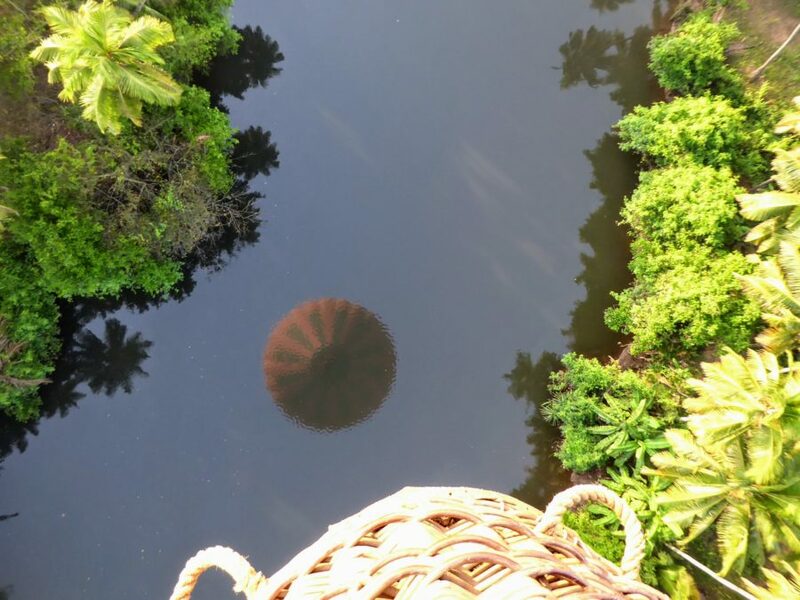 Have you been hot air ballooning in Goa? If not, would you like to take this trip? Please comment below. 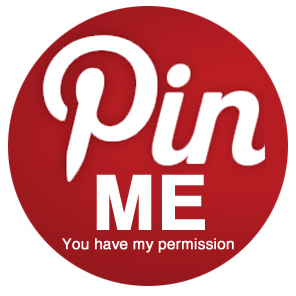 Don’t forget to subscribe (It’s free!) to my blog for more posts like this and interesting travel tips. Weather – Hot air balloon rides are dependent on the weather. However this season only two flights have been cancelled due to the stable conditions in Goa. The season runs October to May but chartered flights can be arranged out of season. Rain, high wind or poor visibility due to fog can cause the ride to be cancelled. Tiger Balloon Safaris will only fly if the conditions are right but if your balloon ride is cancelled then they will arrange a reschedule to fit best with you. 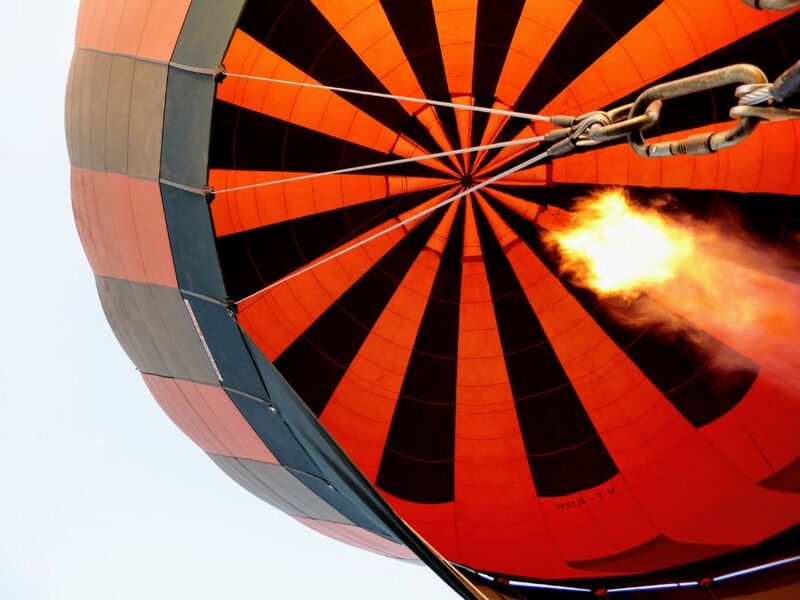 Clothes – As you are flying at wind speed, the temperature is not cold whilst on the hot air balloon ride. With additional heat from the burners, it is actually warmer than on the ground. Wear sensible outdoor clothes and flat shoes. Who can fly – Everyone. Well nearly everyone. All Tiger Balloon Safaris ask is that you are fit enough to climb in and out the basket and stand for over an hour, are over the age of 8 years old and exceeding 1.4 metres (3’8″) in height. Children under the age of 16 years old have to be accompanied by an adult. Passengers cannot exceed the weight of 18 stone (114kg) due to operational requirements. 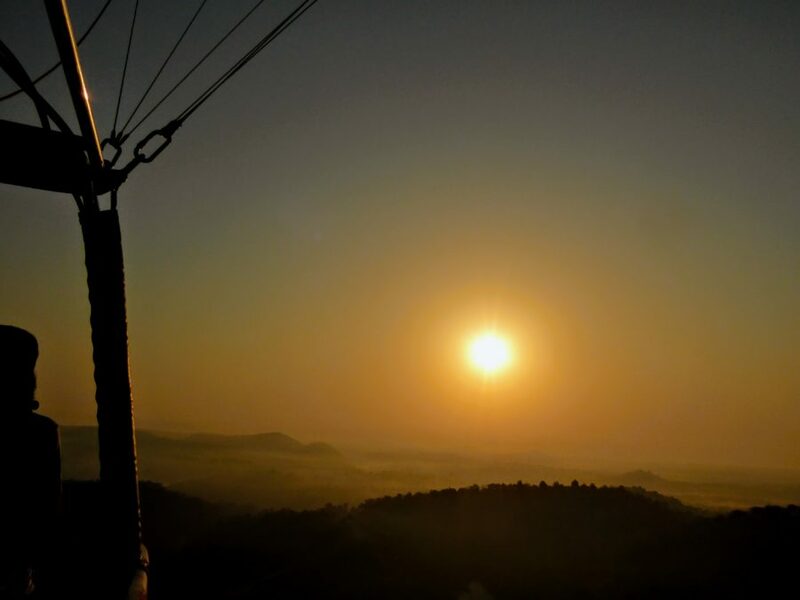 Timings – The hot air balloon rides take place in the early morning and early evening to take the opportunity to see the sunrise and sunset. Disclaimer: I was hosted kindly by Tiger Balloon Safaris on this hot air balloon ride but as always my opinions are my own. Excellent! 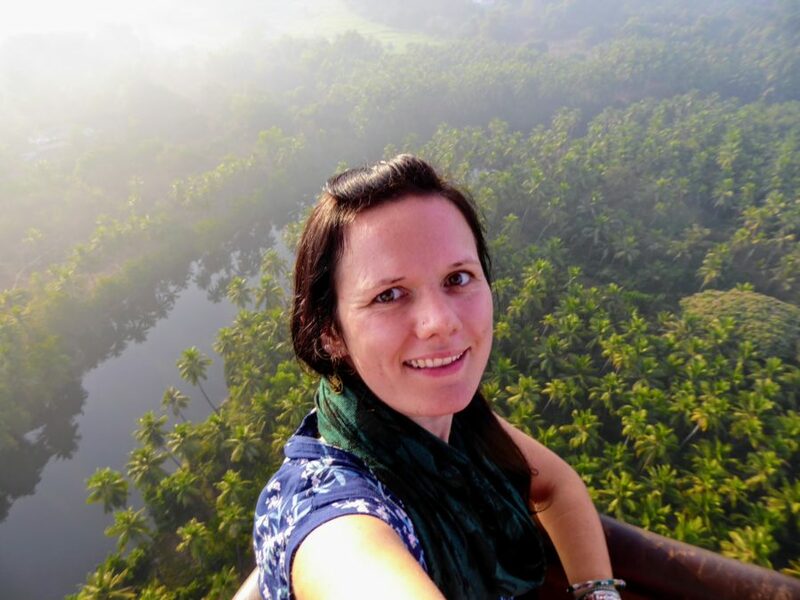 I did a balloon trip in UK and am going to Goa next year and will definitely try to have another trip. Did they have a system in place of finding out in advance if the balloon flight will actually go ahead. Just to avoid a wasted early morning journey to launch site. Can you recall where you took off from please. Hey Peter, They will call you the morning off it if the wind conditions are not suitable and additionally they can help arrange transport if you need it. Hot air balloon rides are on my bucket list. I am jealous but so excited for you to have tried it. And the celebration cake for the couple was a nice touch – it truly is a unique way to celebrate!